When three billy goats go hunting for a better field, they run into a hungry troll. Will they end up as lunch? 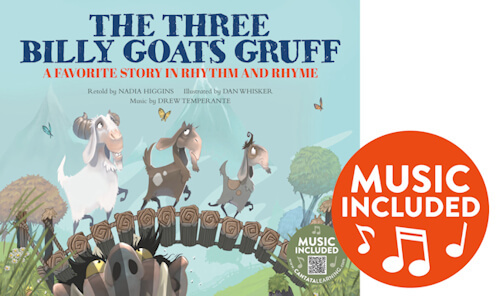 Sing along to this Fairy Tale Tune in The Three Billy Goats Gruff: A Favorite Story in Rhythm and Rhyme.